1 Sep 1961 Non-Aligned Movement founded. 1from 1989 Myanmar. 2from 1972 Sri Lanka. 3Congo (Léopoldville) to 1966; 1966-71 and from 1997 Congo (Kinshasa); 1971-97 Zaire. 4Cyprus ceased to be a member 1 May 2004. 51958 - 1961 Syria part of the United Arab Republic, union of Egypt and Syria; in 1961 Syria left the union. 6Yemen (Aden) and Yemen (Sana) united 22 May 1990 as Yemen. 7Yugoslavia suspended from 30 Sep 1992; from 4 Feb 2003 called Serbia and Montenegro, dissolved 5 Jun 2006. 8from 1975 Benin. 9United Republic of Tanganyika and Zanzibar, renamed Tanzania 1 Nov 1964. 10from 2018 Eswatini. 11Argentina withdrew 19 Sep 1991. 12from 1985 Côte d'Ivoire. 13to 30 Dec 1975 Malagasy Republic. 14Malta ceased to be a member 1 May 2004. 15Provisional Revolutionary Government of the Republic of South Vietnam, represented by National Liberation Front (NLF); from 30 Apr 1975 Republic of South Vietnam; from 2 Jul 1976 united with North Vietnam as Socialist Republic of Vietnam. 16from 1984 Burkina Faso. 17Belize special member to 25 Sep 1981. 18from 2013 Cabo Verde. 19Namibia represented by South West African People's Organization (SWAPO) 3 Sep 1979 - 21 Mar 1990 (not recognized by South Africa). 12 Feb 1953 Nordic Council (Norden) inaugurated. (23 Mar 1962 signed) in force. 4 Apr 1949 The North Atlantic Treaty is signed in Washington. 24 Aug 1949 North Atlantic Treaty Organization established. and Eastern European nations created. ¹France withdrew from integrated military structure 1 Jul 1966; rejoined 3 Apr 2009. 2Greece withdrew from integrated military structure 14 Aug 1974; rejoined 20 Oct 1980. 3Spain outside integrated military structure until 1 Jan 1999. 1 Jul 1968 Treaty on the Non-Proliferation of Nuclear Weapons signed. 5 Mar 1970 Treaty enters into force. ¹Republic of China (Taiwan) an original NPT signatory on 27 Jan 1970 and represented China until 15 Nov 1971, when the UN voted to have China represented by the People's Republic of China (though Taiwan states it will continue to abide by the treaty); the People's Republic of China acceded to the NPT 29 Dec 1991, effective 9 Mar 1992. 2Czechoslovakia dissolved 31 Dec 1992; on 1 Jan 1993 succeeded by Czech Republic and Slovakia. 3East Germany and West Germany united 1990. 4Soviet Union dissolved 25 Dec 1991, succeeded by Russia. 5from 2018 Eswatini. 6from 1984 Burkina Faso. 7succession to the Treaty by the Federal Republic of Yugoslavia is 27 April 1992; from 4 Feb 2003 called Serbia and Montenegro; on 5 Jun 2006 succeeded by Serbia. 8from 1997 Congo (Kinshasa). 9unification with North Vietnam on 2 Jul 1976 as Socialist Republic of Vietnam; by letters of 1 Aug 1979 and 6 May 1980 Vietnam stated that it did not consider itself bound by treaties previously ratified by South Vietnam; Socialist Republic of Vietnam acceded to NPT on 14 Jun 1982. 10from 1975 Benin. 11from 1985 Côte d'Ivoire. 12from 1997 Samoa. 13Yemen (Aden) and Yemen (Sana) united 22 May 1990 as Yemen. 14from 2013 Cabo Verde. 15North Korea withdrew 10 Jan 2003. 16as Former Yugoslav Republic of Macedonia; from 2 Feb 2019 North Macedonia. 26 Aug 1890 Secretariat established. 1Cuba suspended 14 Feb 1962 - 3 Jun 2009, has not resumed membership. 2Honduras suspended 4 Jul 2009 - 1 Jun 2011. 3Venezuela initiated withdrawal 28 Apr 2017 (which would be effective 28 Apr 2019), but OAS seat given to Guaidó government 9 Apr 2019. (Organización de Estados Centroamericanos)(ODECA) formed. 14 Oct 1955 Secretariat inaugurated. 30 Mar 1965 Second charter, signed on 12 Dec 1962, effective. 1Guatemala withdrew 4 Apr 1953, rejoined 1954. 2Honduras withdrew 1970. 18 Jun 1981 Organization of Eastern Caribbean States founded. 10 Aug 2012 OECS assembly inaugurated. 1Anglo-U.S. "bizone" to 1949, then (West) Germany. 2Trieste Anglo-U.S. zone only; from 26 Oct 1954 part of Italy. 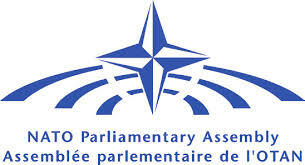 3special member; 1 Jul 1967 - 1 Nov 1993 European Communities, from 1 Nov 1993 European Union. 22 Sep 1969 First Islamic Conference opened. signed (effective 28 Feb 1973). 28 Jun 2011 Renamed Organization of Islamic Cooperation. 1Afghanistan suspended 28 Jan 1980 - 13 Mar 1989 (seat then given to rebels). 2Egypt suspended 9 May 1979 - 30 Jan 1984. 3Yemen (Aden) and Yemen (Sana) united as Yemen 22 May 1990. 4Syria suspended from 16 Aug 2012. 5from 1984 Burkina Faso. 6Zanzibar withdrew Aug 1993. 14 Sep 1960 Organization of Petroleum Exporting Countries (OPEC) founded. ¹21 Jan 1961-Apr 1965 the Chairmen of the Board of Governors were also, ex-officio, the Secretaries-general of the organization. The functions of Chairman of the Board of Governors and Secretary-general were separated Apr 1965. 2Qatar terminated its membership 1 Jan 2019. 3Indonesia membership suspended at its own request 1 Jan 2009 - 1 Jan 2016 and from 30 Nov 2016. 4Abu Dhabi membership transferred to United Arab Emirates 9 Jan 1974. 5Ecuador membership suspended at its own request 31 Dec 1992, rejoined 23 Oct 2007. 6Gabon membership terminated at its own request 1 Jan 1995, rejoined 1 Jul 2016. 19 Jan 1993 Chemical Weapons Convention (CWC) signed. Weapons (OPCW), CWC treaty enters into force. 1from 2018 Eswatini. 2as Former Yugoslav Republic of Macedonia; from 2 Feb 2019 North Macedonia. 3from 4 Feb 2003 called Serbia and Montenegro; on 5 Jun 2006 succeeded by Serbia. 4from 2013 Cabo Verde. 1 Aug 1975 Helsinki Final Act signed. 21 Nov 1990 Charter of Paris for a New Europe signed. 1Czechoslovakia dissolved 31 Dec 1992; on 1 Jan 1993 membership succeeded by Czech Republic and Slovakia. 2East and West Germany united 3 Oct 1990. 3Soviet Union dissolved 25 Dec 1991; membership succeeded by Russia. 4as Former Yugoslav Republic of Macedonia; from 2 Feb 2019 North Macedonia. 5Yugoslavia suspended 8 Jul 1992 - 10 Nov 2000; from 4 Feb 2003 called Serbia and Montenegro; on 5 Jun 2006 succeeded by Serbia. 1Netherlands withdrew 31 Dec 1962. 2U.K. withdrew 1 Jan 1996, rejoined Jan 1998; withdrew again 1 Jan 2005. 3from 1997 Samoa. 27 Oct 2000 Pacific Islands Forum (PIF). 11 Sep 2006 Parliamentary Assembly of the Mediterranean formed. 1as Former Yugoslav Republic of Macedonia; from 2 Feb 2019 North Macedonia. 2Romania an associate member 25 Sep 2008 - 23 Feb 2017.
International Disputes (Hague Convention)(effective 4 Sep 1900). 1from 7 Sep 1949 Federal Republic of Germany. 2from 1935 Iran. 3from 30 Dec 1922 Soviet Union, which acceded to Hague Conventions 7 Mar 1955; dissolved 25 Dec 1991, membership succeeded by Russia. 4from 1939 Thailand. 5Montenegro acceded to the Geneva Convention 16 Oct 1900; part of Yugoslavia from 1 Dec 1918; renamed Serbia and Montenegro from 4 Feb 2003, which dissolved 3 Jun 2006; Montenegro re-acceded to the Conventions on 10 Apr 2007. 6Serbia from 1 Dec 1918 part of Serb, Croat and Slovene State; from 3 Oct 1929 Yugoslavia; from 4 Sep 2001 as Federal Republic of Yugoslavia; from 4 Feb 2003 called Serbia and Montenegro; on 5 Jun 2006 succeeded by Serbia. 7Korea annexed by Japan 29 Aug 1910 - 12 Sep 1945. 8China represented by Republic of China 1 Jan 1912 - 6 Apr 1972, when the PCA recognized the People's Republic of China as the representative of China. 9as Ottoman Empire to 1920. 10Czechoslovakia dissolved 31 Dec 1992; on 1 Jan 1993 membership succeeded by Czech Republic and Slovakia. 11from 1972 Sri Lanka. 12to 1966 Congo (Léopoldville), 1966-71 and from 1997 Congo (Kinshasa); 1971-97 Zaire. 13from 1984 Burkina Faso. 14from 1991 Ukraine. 15from 1991 Belarus. 16from 2018 Eswatini. 17as Former Yugoslav Republic of Macedonia; from 2 Feb 2019 North Macedonia. 5 May 1919 League of Red Cross Societies (LORCS) founded. 27 Jul 1929 Red Crescent adopted as an additional emblem. 11 Oct 1983 League of Red Cross and Red Crescent Societies (LORCS). 22 Jun 2006 Red Crystal approved as an additional emblem. 1Norway withdrew May 1927, rejoined 1 Jan 1930. 2Sweden withdrew 7 May 1927, rejoined 1930. 3Denmark withdrew May 1927, rejoined 1930. 4from Oct 1950 the national Red Cross Society of People's Republic of China was a participant of the Federation's Board of Governors meetings and therefore accepted by the Federation as the Chinese Red Cross (the Chinese Red Cross was partly disbanded 1966-1978); in 1952 at 28th International Conference of the Red Cross, the Standing Commission of the Red Cross invited the People's Republic of China to attend as a delegate and the Formosan (Republic of China [Taiwan]) Red Cross as an observer. Formosa (Taiwan) was invited as an observer at 1957 and 1965, Taiwan has not been invited since 13 Sep 1969. 5Serbia part of Yugoslavia from 1 Dec 1918; from 4 Feb 2003 called Serbia and Montenegro, dissolved 5 Jun 2006, succeeded by Serbia. 6Czechoslovakia dissolved 31 Dec 1992. 7from 1941 Thailand. 8IFRCS recognition of Germany revoked 1945. 9Danzig annexed to Germany 1 Sep 1939 - 7 Apr 1945, then annexed to Poland. 10from 1949 independent as Indonesia, which joined 16 Oct 1950. 11from 1935 Iran. 12Soviet Union dissolved 25 Dec 1991; succeeded by Russia, succession formally recognized 5 Oct 1992. 13from 1989 Myanmar. 14Syrian Red Crescent was recognized by IFRCS as part of United Arab Republic Red Crescent on 29 Sep 1959, but was readmitted on 29 Sep 1962. 15from 1972 Sri Lanka. 16East and West Germany united 3 Oct 1990 as Germany, the separate national societies united 3 Jan 1991. 17South Vietnam united with North Vietnam on 23 Aug 1976 as Socialist Republic of Vietnam. 18Congo (Léopoldville) to 1966; 1966-71 and from 1997 Congo (Kinshasa); 1971-97 Zaire. 19from 1975 Benin. 20from 1985 Côte d'Ivoire. 21to 30 Dec 1975 Malagasy Republic. 22from 26 Apr 1964 United Republic of Tanganyika and Zanzibar; renamed Tanzania 1 Nov 1964. 23from 1984 Burkina Faso. 24from 2018 Eswatini. 25Yemen (Aden) and Yemen (Sana) united 1990 as Yemen, the separate national societies united 18 Jul 1990. 26from 2013 Cabo Verde. 27from 1997 Samoa. 28Latvian Red Cross originally admitted 10 Jan 1923. 29Lithuanian Red Cross originally admitted 12 Jan 1924. 30Estonian Red Cross originally admitted 25 Feb 1922. 31as Former Yugoslav Republic of Macedonia; from 2 Feb 2019 North Macedonia. 32Montenegro provisional member 26 Oct 2006 - 20 Nov 2007. 33Marshall Islands a provisional member. Jean Henri Dunant (b. 1828 - d. 1910). the Wounded in Armies in the Field" signed. 20 Dec 1875 Renamed International Committee of the Red Cross (ICRC). 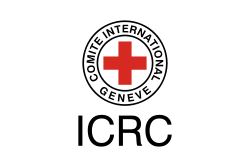 birth of the International Red Cross Movement (ICRM). 22 Aug 1864 First Geneva Convention signed. 1united as Germany 1 Jan 1871; Hamburg, Hesse-Darmstadt, Mecklenburg-Schwerin, Oldenburg, Prussia and Saxony part of North German Confederation 1 Jul 1867 - 1 Jan 1871; Red Crosses unified on 25 Jan 1921 as Red Cross Society of Germany, which was de facto recognized by the ICRC until 1945. 2Montenegro and Serbia were part of Yugoslavia from 1 Dec 1918; from 4 Feb 2003 called Serbia and Montenegro; dissolved 5 Jun 2006, succeeded by Serbia. 3from 1908 Belgian Congo a branch of the Belgian Red Cross; recognized by ICRC 4 Jul 1963 as Congo (Kinshasa) Red Cross. 4from 1902 Transvaal a branch of the British Red Cross; from 1921 part of South African Red Cross which was recognized by ICRC 10 May 1928. 5Korea a branch of Japanese Red Cross 1910-1945; separate North and South Korean Red Cross Societies recognized in 1955 and 1956. 6at 28th International Conference of the Red Cross in 1952 the Standing Commission of the Red Cross invited the People's Republic of China to attend as a delegate and the Formosan (Republic of China [Taiwan]) Red Cross as an observer on the principle that there may only be only one National Red Cross Society per country. On 28 Jul 1952 the invitations of the Standing Commission were confirmed by a vote of Conference delegates. Formosa (Taiwan) was an invited observer 1957 and 1965. Taiwan was not invited as an observer after 13 Sep 1969; The People's Republic of China Red Cross Society was partly disbanded 1966-1978. 7Czechoslovakia dissolved 31 Dec 1992. 8from 1941 Thailand. 9Russian Red Cross est.1867, by decree of 6 Jan 1918 became the Soviet Red Cross; from 1924 Alliance of Red Cross and Red Crescent Societies of the USSR; dissolved 25 Dec 1991; succeeded by Russia, succession recognized by ICRC 1 Jul 1992. 10Danzig annexed to Germany 1 Sep 1939 - 7 Apr 1945, then annexed to Poland. 11from 1935 Iran. 12South Africa suspended from ICRC conference participation 25 Oct - Nov 1986. 13from 1989 Myanmar. 14Syria along with Egypt was part of the United Arab Republic 1958-1961; the ICRC did not recognize this new structure as such, but informed other National Red Cross Societies on 10 Sep 1959 that the Syrian Red Crescent was a component of the UAR Red Crescent; on 31 Jul 1962 ICRC noted its autonomy was restored. 15from 1950 Jordan. 16from 1972 Sri Lanka. 17East and West Germany united 3 Oct 1990 as Germany, the separate national societies united 3 Jan 1991. 18South Vietnam united with North Vietnam on 23 Aug 1976 as Socialist Republic of Vietnam. 19from 1984 Burkina Faso. 20Congo (Léopoldville) to 1966; 1966-71 and from 1997 Congo (Kinshasa); 1971-97 Zaire. 21from 1985 Côte d'Ivoire. 22from 26 Apr 1964 United Republic of Tanganyika and Zanzibar; renamed Tanzania 1 Nov 1964. 23from 1975 Benin. 24to 30 Dec 1975 Malagasy Republic. 25from 2018 Eswatini. 26Yemen (Aden) and Yemen (Sana) united 1990 as Yemen the separate national societies united 18 Jul 1990. 27from 1997 Samoa. 28from 2013 Cabo Verde. 29Lithuanian Red Cross first recognized by ICRC on 28 Aug 1923. 30Latvian Red Cross first recognized by ICRC on 10 Jan 1923. 31Estonian Red Cross first recognized by ICRC on 11 Apr 1922. 32as Former Yugoslav Republic of Macedonia; from 2 Feb 2019 North Macedonia. 33Montenegro provisional member to 20 Nov 2007. Note: the procedure of recognition of new National Societies by the ICRC came into force from 1887. National Societies created before this date became members of the International Red Cross and Red Crescent Movement (ICRM) without formal recognition by the ICRC. 26 Apr 1996 "Shanghai Five" regional security treaty signed. 15 Jun 2001 Shanghai Cooperation Organization (SCO). 19 Sep 2003 SCO charter enters into force. 15 Jan 2004 Secretariat inaugurated. 8 Sep 1954 Southeast Asia Collective Defense Treaty signed. 19 Feb 1955 Southeast Asia Treaty Organization (SEATO) established. 1 Feb 1974 Dissolution of military structures. 30 Jun 1977 SEATO dissolved. ¹France ceased financial contributions from 30 Jun 1974. 2Pakistan withdrew 7 Nov 1973. 1 Apr 1980 Southern African Development Coordination Conference (SADCC). 17 Aug 1992 Southern African Development Community (SADC). ¹from 2018 Eswatini. 2Seychelles withdrew 1 Jul 2004; rejoined 16 Aug 2008. 3Madagascar suspended 30 Mar 2009 - 30 Jan 2014.
founded by Treaty of Asunción. 17 Dec 1994 Customs union inaugurated. 1 Jan 1997 Secretariat inaugurated. 6 Dec 2006 Parlamento del Mercosur (Parlasur/Parlasul) effective. ¹Paraguay suspended 29 Jun 2012 - 15 Aug 2013. 2Venezuela an associate member 16 Dec 2004 - 31 Jul 2012; suspended from 1 Dec 2016. 3Bolivia approved for regular membership 17 Jul 2015, in the process of accession. 8 Dec 2004 South American Community of Nations. [UNASUR]/União de Nações Sul-Americanas [UNASUL]) founded. 11 Mar 2011 Constitutive Treaty enters into force. ¹suspended own participation 20 Apr 2018; withdrawal announced 27 Aug 2018 (to be effective six months later). 2Colombia suspended own membership 20 Apr 2018 (announced withdrawal 10 Aug 2018)(to be effective six months later). 3Ecuador announced its withdrawal 14 Mar 2019. 4Paraguay suspended 29 Jun 2012 - 15 Aug 2013; suspended own membership 20 Apr 2018; withdrawal announced 27 Aug 2018 (to be effective six months later). 26 Jun 1945 UN Charter signed. 24 Oct 1945 UN Charter effective. and responsibilities to the United Nations. 1from 19 Sep 1991 Belarus. 2Republic of China (Taiwan) represented China until 15 Nov 1971, when the UN voted to have China represented by the People's Republic of China. 3Czechoslovakia dissolved 31 Dec 1992. 4on 21 Feb 1958, the United Arab Republic was established by a union of Egypt and Syria and continued as a single member; on 13 Oct 1961 Syria, having resumed its status as an independent state, resumed its separate membership. On 2 Sep 1971 the United Arab Republic was renamed Arab Republic of Egypt. 5Soviet Union dissolved 25 Dec 1991, Russia succeeded to Soviet seat. 6from 1991 Ukraine. 7Socialist Federative Republic of Yugoslavia broke up in 1992; in 8 Apr 1992 Montenegro and Serbia reconstituted as Federal Republic of Yugoslavia assumed the former Yugoslav seat; on 22 Sep 1992 the rump Yugoslavia was suspended from participation in the General Assembly and told to reapply for membership, which it did in 2000 (admitted 1 Nov 2000); from 4 Feb 2003 called Serbia and Montenegro; on 5 Jun 2006 succeeded by Serbia. 8from 12 Nov 1974 to 23 Jun 1994 the General Assembly refused to accept the credentials of the South African delegation because of the country's apartheid policies, but South Africa retained membership. 9Yemen (Aden) and Yemen (Sana) united 22 May 1990. 10from 1989 Myanmar. 11Indonesia withdrew 20 Jan 1965; rejoined 28 Sep 1966. 12from 1972 Sri Lanka. 13from 1963 Malaysia. 141966-71 and from 1997 Congo (Kinshasa); 1971-97 Zaire. 15from 1975 Benin. 16from 1985 Côte d'Ivoire. 17to 30 Dc 1975 Malagasy Republic. 18from 1984 Burkina Faso. 19Tanganyika and Zanzibar merged 26 Apr 1964 to form United Republic of Tanganyika and Zanzibar, which was renamed Tanzania 1 Nov 1964. 20from 2018 Eswatini. 21East and West Germany united 3 Oct 1990. 22from 2013 Cabo Verde. 23from 1997 Samoa. 24as Former Yugoslav Republic of Macedonia; from 2 Feb 2019 North Macedonia. 25from 2003 Timor-Leste. Note: Vatican City is the only undisputed nation that is a non-member. 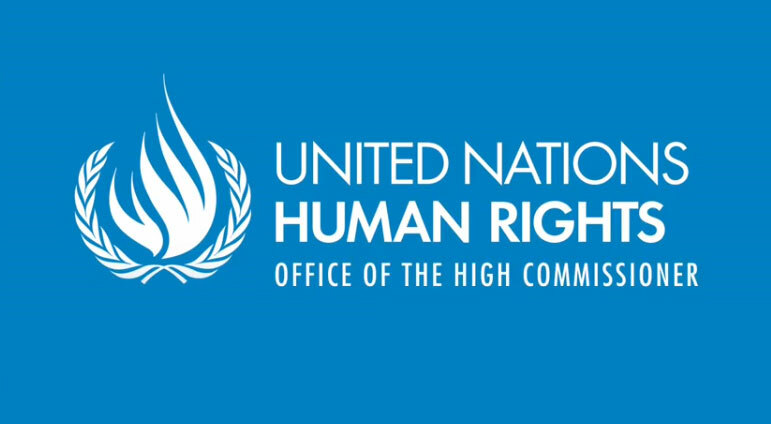 created as a temporary agency of the United Nations. specialized agency of the United Nations. 20 Nov 1959 Declaration of the Rights of the Child adopted by U.N.
the Executive Board consists of 36 members, elected for a three-year term with the following regional allocation of seats: 8 African states, 7 Asian states, 4 Eastern European states, 5 Latin American and Caribbean states and 12 Western European and other states (including Japan). The United Nations Economic and Social Council (ECOSOC) elects states to sit on the UNICEF Executive Board from state members of the United Nations or of the specialized agencies or of the International Atomic Energy Agency. established as a permanent organ of the UN General Assembly. 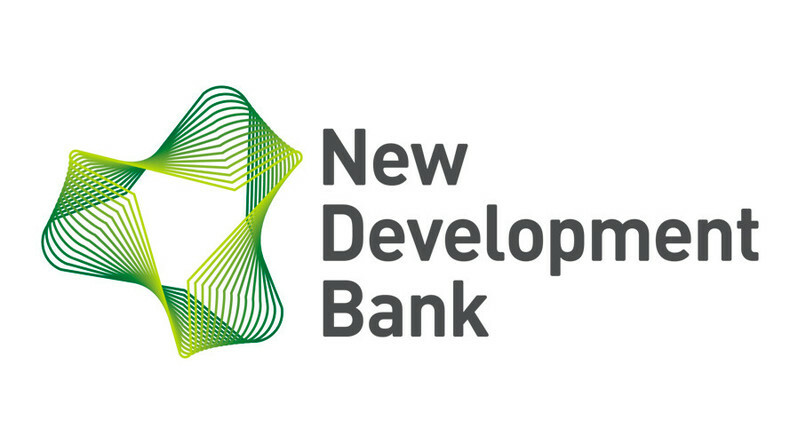 22 Nov 1965 UNDP established as a specialized agency of the United Nations. 4 Nov 1946 UNESCO established as a specialized agency of the United Nations. 1the Republic of China (Taiwan) represented China until 29 Oct 1971, when UNESCO voted to have China represented by the People's Republic of China. 2Czechoslovakia announced it no longer considered itself a member 29 Jan 1953, resumed cooperation 9 Sep 1954; dissolved 31 Dec 1992. 3South Africa withdrew 31 Dec 1956, rejoined 12 Dec 1994. 4U.K. withdrew 31 Dec 1985, rejoined 1 Jul 1997. 5U.S. withdrew 31 Dec 1984, rejoined 1 Oct 2003; withdrew again 31 Dec 2018. 6Poland announced it no longer considered itself a member 5 Dec 1952, resumed cooperation 18 Jun 1954. 71958-1961 Syria part of the United Arab Republic, union of Egypt and Syria. Syria left UNESCO 21 Feb 1958; on 28 Sep 1961 Syria seceded from the U.A.R. and resumed its separate membership on 13 Oct 1961. 8Hungary announced it no longer considered itself a member 31 Dec 1952, resumed cooperation 1 Jun 1954. 9from 1989 Myanmar. 10Israel effectively excluded from participation 20 Nov 1974 - 9 Nov 1976; withdrew 31 Dec 2018. 11from 1972 Sri Lanka. 12Yugoslavia expelled 22 Sep 1992, readmitted 20 Dec 2000; from 4 Feb 2003 called Serbia and Montenegro; on 5 Jun 2006 succeeded by Serbia. 13Indonesia announced its withdrawal 25 Feb 1965, resumed collaboration 16 Sep 1966. 14Republic of Vietnam to 30 Apr 1975, then Republic of South Vietnam; from 2 Jul 1976 Socialist Republic of Vietnam. 15East and West Germany united 3 Oct 1990. 16Soviet Union dissolved 25 Dec 1991, membership succeeded by Russia. 17from 1991 Belarus. 18from 1991 Ukraine. 19from 1963 Malaysia. 20from 1975 Benin. 21from 1985 Côte d'Ivoire. 22to 30 Dec 1975 Malagasy Republic. 23from 1984 Burkina Faso. 241966-71 and from 1997 Congo (Kinshasa); 1971-97 Zaire. 25from 1964 Tanzania. 26Yemen (Aden) and Yemen (Sana) united 1990. 27Portugal excluded from participation 28 Nov 1966 - 31 Dec 1972; withdrew 31 Dec 1972, rejoined 11 Sep 1974. 28Singapore withdrew 31 Dec 1985, rejoined 8 Oct 2007. 29from 2018 Eswatini. 30from 2013 Cabo Verde. 31as United Nations Council for Namibia to 21 Mar 1990 (not recognized by South Africa). 32from 1997 Samoa. 33as Former Yugoslav Republic of Macedonia; from 2 Feb 2019 North Macedonia. 1British Caribbean Group composed of: Barbados, Dominica, Jamaica and Trinidad; from 6 Nov 1958 West Indies Federation. 2full member 11 Apr 1958 as Ghana. 3Malaya Federation to 16 Jun 1958, then Singapore and British Borneo to 31 Dec 1959. 4Sierra Leone full member from 28 Mar 1962. 5Nigeria full member from 14 Nov 1960. 6Bahrain full member from 18 Jan 1972. 7Kuwait full member from 18 Nov 1960. 8Somaliland Trust Territory under Italian administration associate member to 1 Jul 1960; from 1960 Somalia. 9West Indies Federation dissolved 31 May 1962. 10Tanganyika full member from 6 Mar 1962. 11Mauritius full member from 25 Oct 1968. 12Ruanda-Urundi dissolved on 1 Jul 1962. 13Qatar full member from 21 Jan 1972. 14Br. Eastern Caribbean Group composed of: Antigua and Barbuda (to 15 Nov 1982), Anguilla, Barbados (to 24 Oct 1968), Cayman Islands, Dominica (to 9 Jan 1979), Grenada (to 17 Feb 1975), Montserrat, St. Christopher-Nevis (to 26 Oct 1983), St. Lucia (to 6 Mar 1980), St. Vincent (to 15 Feb 1963); dissolved 31 Dec 1984. 15Papua New Guinea full member from 4 Oct 1976. 16as United Nations Council for Namibia; full member from 2 Nov 1978 (not recognized by South Africa). 17Netherlands Antilles dissolved 10 Oct 2010. 5 Jun 1972 UN Conference on the Human Environment in Stockholm. 15 Dec 1972 UNEP established as a specialized agency of the United Nations. 58 member states serve on the Governing Council in 4 year terms, seats are allocated according to geographical regions. created as an autonomous body of the United Nations. 21 Jun 1985 Renamed United Nations Industrial Development Organization (UNIDO). 1 Jan 1986 UNIDO a separate specialized agency of the United Nations. 1Australia withdrew 31 Dec 1988, rejoined 1 Jan 1992; withdrew again 31 Dec 1997. 2Belgium withdrew on 31 Dec 2015. 3from 1991 Belarus. 4Canada withdrew 31 Dec 1993. 5from 2013 Cabo Verde. 6Czechoslovakia dissolved 31 Dec 1992. 7Denmark withdrew 31 Dec 2016. 8East and West Germany united 3 Oct 1990. 9France withdrew 31 Dec 2014. 10Greece withdrew 31 Dec 2016. 11Portugal withdrew 31 Dec 2014. 12Soviet Union dissolved 25 Dec 1991, membership succeeded by Russia. 13from 1991 Ukraine. 14U.K. withdrew 31 Dec 2012. 15U.S. withdrew 31 Dec 1996. 16Yugoslavia expelled 2 Jul 1993, readmitted 6 Dec 2000; from 4 Feb 2003 called Serbia and Montenegro; on 5 Jun 2006 succeeded by Serbia. 17from 1997 Congo (Kinshasa). 18New Zealand withdrew 31 Dec 2013. 19Yemen (Aden) and Yemen (Sana) united 22 May 1990. 20until 21 Mar 1990 the United Nations Council for Namibia (not recognized by South Africa). 21from 2018 Eswatini. 22Lithuania withdrew 31 Dec 2012. 23Slovakia withdrew 31 Dec 2017. 24as Former Yugoslav Republic of Macedonia; from 2 Feb 2019 North Macedonia. 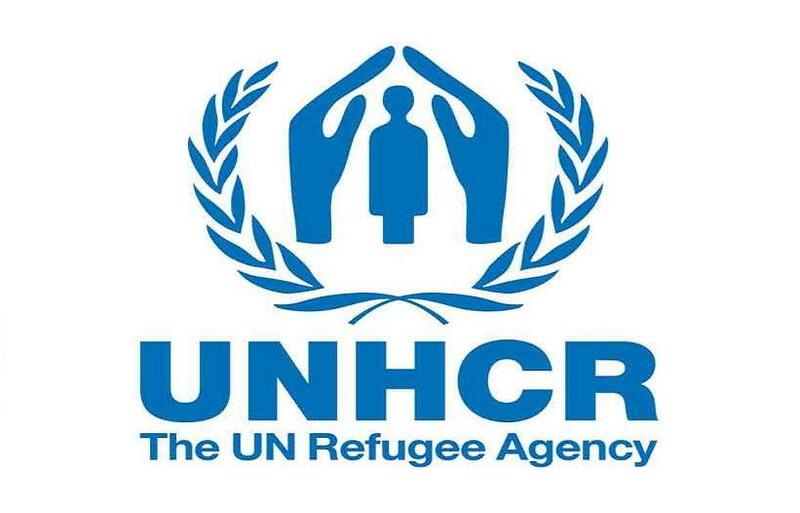 in the Near East (UNRWA) established as a UN agency. 1 May 1950 Operations begin. established as independent international relief agency. 24 Oct 1945 Becomes a specialized agency of the United Nations. the International Refugee Organization (IRO). 1until 3 Jun 1944 represented by "Free" French. 1 Jul 1875 General Postal Union established. 1 Jun 1878 Universal Postal Union (UPU). 1 Jul 1948 UPU a specialized agency of the United Nations. UPU extended to overseas dependencies of: Australia on 1 Oct 1907; Denmark on 1 Jul 1875; France on 1 Jul 1876; Germany on 1 Jun 1887; Italy on 1 Jul 1904; Japan on 1 Jan 1922; The Netherlands (incl. Aruba, Curaçao and Sint Maarten) on 1 May 1877; New Zealand on 1 Oct 1907; Portugal on 1 Jul 1877; Spain on 1 May 1877; United Kingdom on 1 Apr 1877; and the United States on 25 Feb 1900. 1from 30 Dec 1922 Soviet Union; dissolved 25 Dec 1991; membership succeeded by Russia. 2Serbia as Yugoslavia from 24 Dec 1921; Yugoslavia not invited to UPU functions from 20 Oct 1998, officially readmitted 18 Jun 2001; from 4 Feb 2003 called Serbia and Montenegro; on 5 Jun 2006 succeeded by Serbia. 3Turkey as Ottoman Empire to 1920. 4United States gave notice of its withdrawal on 17 Oct 2018 (which would be effective 17 Oct 2019). 5from 1935 Iran. 6from 12 Aug 1898 part of United States. 7from 1941 Thailand. 8Congo Free State to 1908; 1908-1960 Belgian Congo; 1960-1966 Congo (Léopoldville); 1966-71 and from 1997 Congo (Kinshasa); 1971-97 Zaire; independent UPU member from 1 Jul 1960. 9South African Rep. was from 1900 British colony of Transvaal; from 1910 part of South Africa. 10Tanganyika and Zanzibar merged 26 Apr 1964 to form the United Republic of Tanganyika and Zanzibar, renamed Tanzania 1 Nov 1964. 11Orange Free State from 1900 British Orange River Colony; from 1910 part of South Africa. 12Korea annexed to Japan 29 Aug 1910 - 12 Sep 1945. 13Crete from 30 May 1913 part of Greece. 14South Africa was excluded 1964-1984; suspended 22 Jun 1984 - 22 Aug 1994, unconstitutionally expelled 18 Sep 1979 - 19 Jun 1981. 15the Republic of China (Taiwan) represented China until 13 Apr 1972, when the UPU voted to have China represented by the People's Republic of China; from 13 Apr 1972 Taiwan UPU status as Taiwan province of China. 16Czechoslovakia as Bohemia and Moravia 7 Oct 1939 - May 1945; dissolved 31 Dec 1992. 17Saarland united with Germany 13 Jan 1935; Saar reconstituted under French rule 31 Jul 1945-31 Dec 1956, united with (West) Germany 1 Jan 1957. 18Tangier under international administration 1912-1956, then part of Morocco. 19Danzig annexed to Germany 1 Sep 1939 - 7 Apr 1945, then annexed to Poland. 20Hejaz and Nejd merged 1932 as Saudi Arabia. 21Yemen (Aden) and Yemen (Sana) united 1990. 221958 - 1961 Syria part of the United Arab Republic, union of Egypt and Syria; in 1961 Syria left the union and resumed its separate membership. 23from 1991 Belarus. 24from 1991 Ukraine. 25from 1949 Jordan. 26Trieste a member to Mar 1955; Anglo-US zone part of Italy from 26 Oct 1954. 27from 1972 Sri Lanka. 28from 1989 Myanmar. 29from 2 Jul 1976 North Vietnam and South Vietnam united as Socialist Republic of Vietnam. 30from 1963 Malaysia. 31from 1975 Benin. 32from 1985 Côte d'Ivoire. 33to 30 Dec 1975 Malagasy Republic. 34from 1984 Burkina Faso. 35Abu Dhabi and Dubai memberships transferred to United Arab Emirates 30 Mar 1973. 36from 2018 Eswatini. 37East Germany from 3 Oct 1990 united with Federal Republic of Germany. 38from 2013 Cabo Verde. 39from 1997 Samoa. 40Lithuania former UPU member 1 Jan 1922 - 3 Aug 1940. 41Estonia former UPU member 7 Jul 1922 - 6 Aug 1940. 42Latvia a UPU former member 1 Oct 1921 - 5 Aug 1940. 43Croatia former UPU member 7 Apr 1942 - May 1945. 44Bosnia and Hercegovina former UPU member 1 Jul 1892 - 24 Dec 1921. 45Slovakia former UPU member 17 Jun 1939 - Apr 1945. 46as Former Yugoslav Republic of Macedonia; from 2 Feb 2019 North Macedonia. 47Montenegro former UPU member 1 Jul 1875 - 1 Dec 1918; part of Yugoslavia 1 Dec 1918 - 4 Feb 2003, as Serbia and Montenegro 4 Feb 2003 - 5 Jun 2006. 1Aboriginals of Australia membership suspended 7 Jul 2012. 2Armenia withdrew 2 Mar 1992. 3Belau (Palau) withdrew 15 Dec 1994. 4Cordillera membership suspended 6 Nov 2015. 5Estonia withdrew 17 Sep 1991. 6Georgia withdrew 31 Jul 1992. 7Greek Minority in Albania membership suspended 7 Jul 2012. 8Iraqi Kurdistan membership suspended 1 Jul 2015. 9Latvia withdrew 17 Sep 1991. 10Tatarstan membership discontinued 1 Mar 2008. 11West Papua membership suspended 20 Sep 2008, re-admitted 22 Nov 2013. 12Acheh membership discontinued 1 Mar 2008, re-admitted 28 Jun 2014. 13Bougainville membership discontinued 1 Mar 2008. 14Chechen Republic of Ichkeria membership suspended 25 Sep 2010. 15Iraqi Turkmen membership discontinued 27 Nov 2016. 16Kosovoa membership discontinued 24 Mar 2018. 17Mari membership discontinued 1 Mar 2008. 18South Moluccas membership suspended 6 Nov 2015 - 29 Apr 2016. 19Zanzibar membership suspended 1 Jul 2015. 20Chuvash membership discontinued 1 Mar 2008. 21East Timor withdrew 27 Sep 2002. 22Inkeri membership suspended 9 Oct 2009. 23Komi membership suspended 9 Oct 2009. 24Sanjak membership suspended 18 Sep 2011. 25Udmurt membership suspended 6 Jul 2013. 26Karenni State membership suspended 7 Jul 2012. 27Mapuche membership suspended 29 Apr 2016. 28Scania membership suspended 18 Sep 2011. 29Khalistan represented by Council of Khalistan membership discontinued 4 Aug 1993, suspension made permanent 22 Jan 1995. 30Kalahui Hawai'i membership suspended 7 Jul 2012. 31Sakha withdrew 30 Jun 1998. 32Albanians in Macedonia membership discontinued 1 Mar 2008. 33Circassia membership suspended 6 Nov 2015. 34Gagauzia membership discontinued 1 Dec 2007. 35Hungarian Minority in Romania membership discontinued 2015. 363Ingushetia membership discontinued 1 Mar 2008. 37Lakota Nation membership discontinued 1 Dec 2007. 38Maohi membership discontinued 1 Dec 2007. 39Bashkortostan withdrew 30 Jun 1998. 40Buryatia membership suspended 13 Feb 2010. 41Mon membership suspended 7 Jul 2012. 42Tuva membership suspended 13 Feb 2010. 43Cabinda membership suspended 18 Sep 2011. 44Kumyk membership discontinued 1 Mar 2008. 45Shan membership suspended 6 Feb 2010. 46Nuxalk Nation membership discontinued 1 Mar 2008. 47Rusyn membership discontinued 1 Dec 2007. 48Chin membership suspended 26 Nov 2016. 49Degar-Montagnards membership suspended 29 Apr 2016. 50Vhavenda membership suspended 1 Jul 2015. 51Buffalo River Dene Nation membership suspended 9 Oct 2009. 52Maasai membership suspended 7 Jul 2012. 53Nahua Del Alto Balsas represented by the Consejo de Pueblos Nahua Del Alto Balsas membership suspended 20 Sep 2008. 54Southern Cameroons membership suspended 28 Nov 2014; readmitted as Ambazonia 28 Mar 2018. 55Talysh membership discontinued 1 Mar 2008, re-admitted 28 Jun 2014. 56from 2015 Southern Mongolia. 57Tsimshian membership suspended 18 Sep 2011. 58Burma represented by the National Council of the Union of Burma membership suspended 13 Feb 2010. 59Moro membership suspended 28 Nov 2014. 60Amazigh membership suspended 26 Nov 2016. 61South Arabia suspended from Oct? 2017. 62Chameria previously admitted Jan 1995, suspended 28 Oct 1996. 26 Nov 1976 Joint secretariat established. 1 Apr 1991 Dissolution of military structures. calling for a "transition to all-European structures"
1non-participatory from 12 Dec 1961, withdrew 12 Sep 1968. 23withdrew 24 Sep 1990. 3announced withdrawal 1 Nov 1956, which was cancelled 7 Nov 1956. 23 Oct 1954 Western European Union founded. 6 May 1955 Charter effective. 30 Jun 2011 WEU dissolved. World Bank website Headquarters: Washington, D.C.
Conference 22 Jul 1944) become effective.